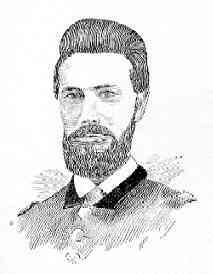 Henry D. Bath, of Mason, Mich., Invalid Corps, formerly Company B, 7th Michigan Infantry (Feb. 4, 1864). Howard M. Beebe, 2nd Regiment, Veteran Reserve Corps (Jan. 17 and Jan. 28, 1865). 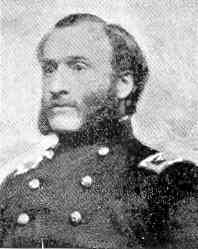 Byron M. Cutcheon, of Ypsilanti, Mich., colonel of the 20th Michigan Infantry (June 28, 1864). Wilbur F. DuBois, of Lansing, Mich., was Longyear's nephew. 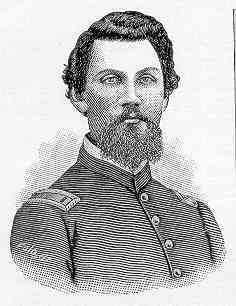 He served in Company A, 20th Michigan Infantry, and beginning in July 1864 was second lieutenant in the 108th U.S. Colored Infantry. At least 20 letters (1863-1865), including descriptions of the battles of Spotsylvania, Cold Harbor, and Petersburg. John A. Elder, of Lansing, Mich., Company E, 8th Michigan Infantry (June 6, 1864). Charles S. Hunt, a prisoner (July 12, 1864). James J. Jeffries, of Lansing, Mich., Company D, 14th Michigan Infantry (Mar. 15, 1864). Franklin Johnson, of Jackson, Mich., Company K, 26th Michigan Infantry, discharged for disability Nov. 1864 (Jan. 24, Feb. 14, Dec. 9, and Dec. 15, 1864). William D. Longyear, of Onondaga, Mich., Company C, 8th Michigan Infantry (July 3, 1864). Hiram J. Lovejoy, of Locke, Mich., Company A, 20th Michigan Infantry (June 18, 1864). Michigan of the Iron Brigade. Henry A. Morrow, of Detroit, Mich., colonel of the 24th Michigan Infantry (Jan. 23, 1864). Jesse W. Parker, 94th New York Volunteers, Company D (Feb. 10, Feb. 21, July 20, and Nov. 3, 1864). David H. Patterson, of Grass Lake, Mich., Company K, 26th Michigan Infantry (Apr. 8 and Apr. 11, 1864). Edwin P. Pitkin, 132nd Company, 1st Battalion Invalid Corps, formerly of Company H, 20th Michigan Infantry (Dec. 19, 1863). William Richards, Company C, 17th Michigan Infantry, 3rd Division, 9th Army Corps (June 20, 1864). Volunteer Cavalry. New York, 1893. John Q. A. Sessions, of Charlotte, Mich., Company D, 7th Michigan Cavalry (June 13, 1864). Homer L. Thayer, of Lansing, Mich., U.S. Volunteers, 2nd Brigade, 3rd Division, 2nd Corps, formerly Company G, 3rd Michigan Infantry, (Apr. 5 and Dec. 19, 1864). A. C. Voris?, 8th Infantry? (Apr. 3, 1864). N. P. Ward, 2nd Brigade, 1st Division, 3rd Corps (Mar. 12, 1864). Testimonials (1863) to the service of George A. Woodruff (1st U.S. Artillery), Montgomery S. Woodruff (Company F, Merrill's Horse), and William S. Woodruff (Company E, 1st Michigan Infantry), from John Sedgwick, Winfield S. Hancock, George B. McClellan, Henry H. Crapo, Austin Blair, Lewis Merrill, and William A. Throop (copies). E. L. Wright, Company G, 106th New York Volunteers (Feb. 23, 1865).